Who doesn’t love macaroni cheese in its many, deliciously rich guises? This version of macaroni is a spicy revelation which needs to be part of your menu at home. Unlike when I make a classic version, keep the cheeses simple; I have used parmesan and cheddar as blue cheese would not go with the nduja. Nduja is becoming more accessible and can now be found in a lot of supermarkets and Italian delis. I particularly like the version from Eat Drink Ideas- they can be found on St Albans Market on a Saturday as well as online here. It’s a soft salami which lends itself to use in a range of recipes such as soups, stews and pastas. As we are breaking with tradition, I have not used traditional macaroni, but instead I have gone for larger tubes which hold the sauce just as well. As much parmesan and cheddar as you dare! 1. Preheat the oven to 200c/ 180 fan. Take a large pan of water and bring it to the boil; cook the pasta shapes of your choice according to packet instructions. Remember to keep the pasta al dente as it will continue to cook in the oven. Drain the pasta well and set aside. 2. Meanwhile, make the sauce. Melt the butter and flour together in a pan over a medium heat and stir well to combine. Gradually pour in the milk and cream and keep it moving so lumps don’t form. Simmer and continue to stir until the sauce thickens. Remove from the heat, season well and add in the cheese and nduja. The nduja will melt into the warm sauce; stir well to distribute. Add the pasta into the pan and make sure each piece of pasta is well covered in the delightfully spicy sauce. 3. Tip the pasta into an ovenproof dish and top with some extra cheese; bake for 30 minutes until golden and bubbling. Leftovers also reheat really well if you give the pasta a quick blast in the microwave (if there’s any left of course!). Spicy nduja macaroni cheese- a modern twist on a classic! 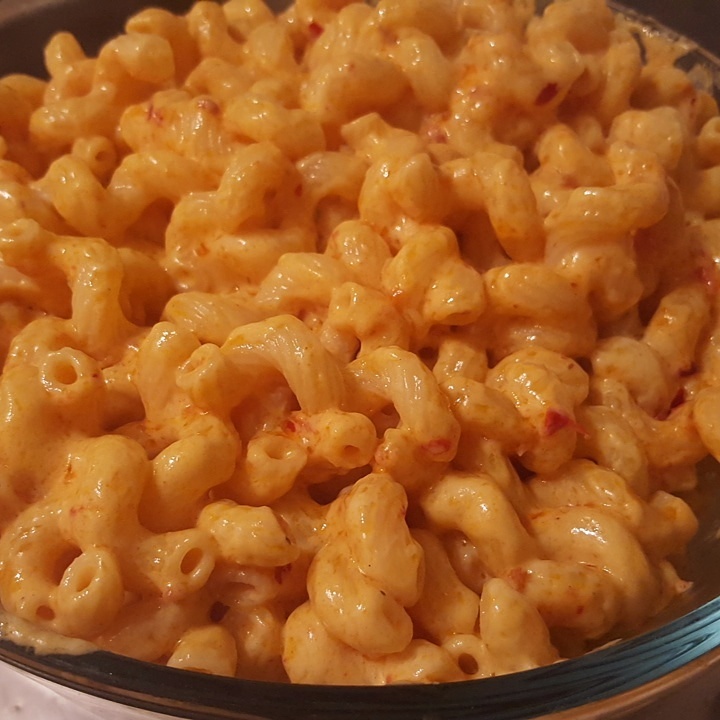 This entry was posted in Recipes and tagged cheddar, macaroni, macaroni cheese, n'duja, parmesan, salami by sotiris14. Bookmark the permalink. Lovely Recipe! Can’t wait to try it! I have added it to my latest post Friday Favourites, I hope you don’t mind!